A former British Army officer has said the UK is right in not accepting alleged British jihadis back into the country, after the Crown Prosecution Service said it was not able to properly prosecute them. 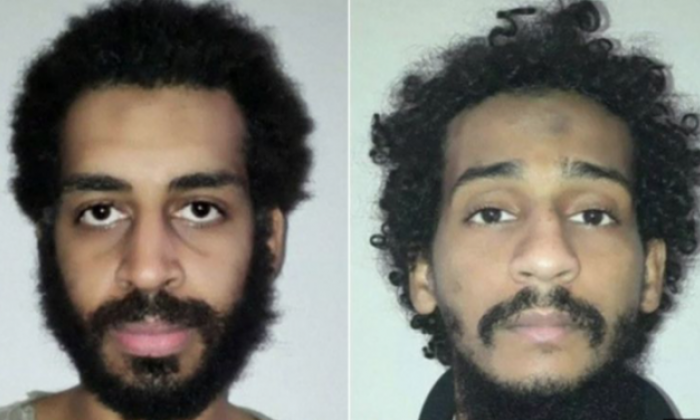 El-Shafee Elsheikh and Alexanda Kotey were said to be part of the Isis terror group dubbed ‘The Beatles’, which is accused of beheading 27 people, both US and UK citizens, in Isis-occupied areas. The CPS told The High Court heard on Tuesday that if the accused men were to be prosecuted in the UK, “it is advised it is likely that both cases will collapse due to process reasons”. The UK government’s preference is to send them to the US, but Elsheikh’s mother Maha El Gizouli has challenged the Home Office’s decision to assist the US without seeking assurance they won’t face the death penalty. However, a barrister for the Home Office told the High Court that Elsheikh had no recourse under EU human rights law, as he lost his British citizenship in 2014. Joining Julia Hartley-Brewer, former Army officer Hamish de Bretton-Gordon, who was in Syria at the time aid worker Alan Henning was killed, said: “I can see why lawyers and activists sitting comfortably here in Britain might be banging the drum to allow due process, but intuitively I think the government have got this right. He added the men knew that allegedly fighting for Isis was “illegal” and said they could pose a further danger in British jails. “They lost their rights,” de Bretton-Gordon said. Hartley-Brewer disagreed, saying that we should “take responsibility” for them, and the law should be changed to allow them to be prosecuted. “There’ve been too many cases in the past where people who are apparently guilty of this kind of thing haven’t got their just desserts in this country,” de Bretton-Gordon said. “I can see the point of saying they’re our responsibility and we should allow due process, but it’s pretty clear some, if not all, have committed heinous crimes.